The combination of a lithium-ion battery pack, a 248-horsepower electric motor, an aluminum chassis, and a beautiful design has gained the company plenty of media attention and led people to reserve the first 100 cars. Their initial run of 100 cars sold out in less than three weeks. Demand was so strong, Tesla Motors found itself bumping people, on the waiting list, who ordered a car but couldn't pony up the $100,000 deposit fast enough, said Mike Harrigan, Tesla's vice president of marketing. The British automaker Lotus provides the chassis and suspension from its Elise to make the Tesla. Lotus designers also created the exterior of the Tesla. And the car will be assembled at the Lotus factory in Norwich, England. The Tesla Roadster has only two forward gears and either one will work for most driving. Unlike a manual transmission, the car will not stall if it's in the wrong gear. Plus it puts you in control of the shifting to fine-tune your driving experience or to achieve the upper limits of acceleration and top speed. And because there is no clutch, you can quickly and easily start from a stop or shift gears on the freeway. The Tesla has a carbon-fiber body, but it is heavier than similarly performing sport cars - 1,000lbs of its total weight of 2,500lbs comes from its battery, made up of 6,831 liquid-cooled, lithium ion cells of the kind used to power laptops. Tesla promises that the battery can be recharged in around three hours, gives a range of 250 miles and has a life of at least 100,000 miles, after which it can be recycled. Just like the fuel gauge in your existing car, the instruments inside the Tesla Roadster indicate how many more miles can be driven before you need to think about recharging. So unlike the old days of electric vehicles, now you can “drive electric” without the anxiety you’ll run out of charge and be left stranded. The battery system weighs in at about 1,000 pounds and delivers four to five times the energy-density of lead acid batteries. Safe, light, durable, and recyclable, it is one of the largest and most advanced lithium-ion battery packs in the world. The system uses commodity lithium ion cells which, thanks to high demand by the consumer electronics industry. The system addresses thermal balancing with a liquid cooling circuit. Multiple passive and active safety devices ensure safe operation over the wide range of driving environments and scenarios. An array of sensors and a dozen microcontrollers communicate with the vehicle to allow efficient use and management of the battery pack. The entire assembly is housed in a rugged enclosure, which protects the system from the harsh road environment while supporting the internal components. Telsa collaborated with an outside firm known for expertise in lithium ion battery safety to perform hundreds of tests to validate the safety of the design. In these tests, they set out to simulate a worst-case scenario in which a cell develops a serious malfunction. In each test, they set a cell on fire in the middle of a battery pack (by heating the heck out of it) and observed the results. The design contained these failures to a single cell, demonstrating that malfunctions wouldn’t spread. The car is, for now, only being sold in the US, and even there, only in the few major cities that will host Tesla's service infrastructure. While the electric car requires very little maintenance - certainly nothing like the multibillion-dollar industry fostered by the major car manufacturers - it will require a periodic check. Tesla wants its own engineers to do this, and plans to collect customers' cars on a flat-bed truck, take them to a workshop, rotate the tires and check the electrical system. Tesla hopes to sell 500 to 600 cars next year and perhaps 2,000 to 2,500 a year starting in 2008. Tesla is also developing a four-door, all-electric sedan which, according to Martin Eberhard, Tesla's CEO, will be "big, fast and efficient - don't think Corolla, think BMW." The company is planning on selling the sedan, to be built in the United States, with a price of less than $50,000, by 2008. Have $100,000 and miss out on the initial rush to buy a Tesla? The company is taking orders for the next 100 cars. Visit http://www.Teslamotors.com. Best of luck to Tesla! They may finally be the first electric car company to do it right. Tesla is truly an amazing piece of engineering. It will be interesting to see what type of FUD campaign the major car companies will put together to scare consumer away from it. With all the news lately about exploding laptops, I'm sure the Lithium-ion batteries would be the first logical target. Perhaps they'll buy a few Teslas and set them on fire around LA - I guess will have to wait and see. This car represents a huge threat to the automotive industry - especially since it was developed by a startup - so expect the gloves to come off it starts getting any real foothold in the market. My guess is that the battery costs something like $30000. If it lasts only 100000 miles, that is $.30 per mile for battery cost alone. On the other hand, someone who has $100000 for a sports car won't really care about battery cost. Plus the Tesla car will allow the engineers to work out problems, the solutions for which can be applied to cars for more everyday use. I'm mostly excited because SOMEONE is building an all electric car and spending research and development time on it. They've found a niche and have started to exploit it. Since they're starting at the very high end, the only way they can grow is by researching their way into higher volume, lower cost markets. If they succeed - woohoo. If they don't, some lessons will be learned and the "state of the art" will be advanced. I don't think your numbers are quite right, but I agree that the battery cost should be right up front, and the fact that they'll need to be replaced. If you bought the batteries wholesale they wouldn't cost $30k, more like $15k, and Tesla might have a deal with a supplier so it might be even less than that. The roadster is guaranteed for 100k miles on the battery pack, Tesla says they expect 150k at better than 80%. I think time will tell what the replacement cost and battery life will be. "The roadster is guaranteed for 100k miles on the battery pack, Tesla says they expect 150k at better than 80%." They say in that interview that the battery pack costs $20K, and they expect it to fall to about $12K in 5 years. Of course, the big question is how quickly they move to next gen li-ion's, and what they cost. If they can get them for anything close to the $12k, EV's will be unarguably on a fast track to replacing ICE's, due to the much faster charge/discharge and dramatically higher cycle life which will cut life cycle cost to well below ICE vehicles. Essentially the wealthy buyers are underwriting the resarch and developement.Its a beautiful thing. I've read about the car in quite a few places, the 100k warranty came from an interview with Elon musk autobloggreen. My cost of 15k was an estimate based on the same type of AA lith-ion that go in many small electric gadgets multiplied by the 6831 and rounded. They may be using a higher cost for those, and it might be more like $20k, I wasn't quoting fact on that number, just saying that I thought $30k was too high. I got the 150k off of the Tesla site, where they said they expected more recharge cycles than the 500 because of the monitoring, control and cooling system that they use with the batteries. I wasn't trying to pass my numbers off as fact, just that I thought his were a bit too pessimistic. The Tesla is wicked cool but a tad expensive. The AC Propulsion eBox is more promising for those of us without bottomless bank accounts. "I wasn't trying to pass my numbers off as fact, just that I thought his were a bit too pessimistic." Makes sense. Too bad, I was hoping for definite numbers that were a little better. Conventional Li-ion's appear to not be quite proven ready for mass, cost-effective EV use. Hopefully that will change very soon. I think Big Oil will do anything to discredit this car and Tesla Motors. I predict there will soon be a newsstory about a burning Tesla Roadster and its 'explosive battery pack'. What's the matter with these people. Who wants to be tied to recharging. What's needed is plug in hybrids-- not pure electrics and not pure internal combustion but the best features of both. At least have an available trailer with a small generator in it. Who wants to be stranded when the batteries are drained? Buy one soon! But solid oxide fuel cells using CeO2/copper combined with a microturbine have 75% efficiency compared to internal combustion. And run on any liquid fuel. Vote for the energy revolution at the polling booth and with your pocketbook. Electric powered driving costs 75 cents per gallon equivalent of gasoline. With this fuel cell it's the same price even without the electric recharge. I read about this vehicle but didn't hear about deposits yet being taken. Oh well, guess I will have to keep a closer eye on next go around. I thought it was priced at $100K, not deposit of $100K? Awesome, glad to see James posting about this car. Love that they used the name Tesla as well. Does anyone know how much energy is required to charge the car for its 250 mile range? We know the energy to charge is coming from electricity with either coal, hydro, nuclear or wind power as the source. What is the cost and environmental impact as compared to a car running on gasoline with an internal combustion engine? Bottom line: power plant generators are lots more efficient than ICEs. Hopefully, more and more of the electricity will be generated from renewable sources. Does anyone know how many kwh to a full 250 mile charge? 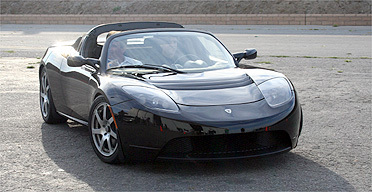 The Tesla Roadster does not use the chassis or suspension from the Elise. It uses technology licensed from Lotus, which is the method of building a chassis from aluminum extrusions bonded together. the car is no good wasted money put the money into electric cars and say good by to oil co.
SIDHANATH HYDRAULICS, WE USE CUTTING EDGE TECHNOLOGY TO MANUFACTURE ALL THE AFORESAID PRODUCTS SUCH AS ALLUMINIUM EXTRUSION, BRASS, COPPER EXTRUSION, LPG PRESS IN INDIA. Sidhanath Hydraulics, we use cutting edge technology to manufacture all the aforesaid products such as Alluminium Extrusion, Brass, Copper Extrusion, LPG Press, Aluminium, Oxygen Cylinder Bottom Forging Press in India. Aluminium Extrusion, Brass, Copper Extrusion, LPG PressAluminum Extrusion Press, Alluminium Extrusion Press Manufacturers, Aluminium Extrusion Press Manufacturers, Copper Extrusion Press Manufacturers, Brass Extrusion Press Manufacturers, LPG Press Manufacturers, LPG Extrusion Press Manufacturers, Oxygen Cylinder Bottom Forging Press, Oxygen Cylinder Bottom Forging Press Manufacturers, Oxygen Cylinder BOT Forming Press Manufacturers, Oxygen Cylinder BOT Forming Press Manufacturers India. For Tesla to have come up with this, it's an achievement! More power to Tesla!